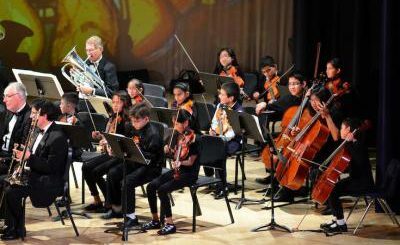 To Remember and Honor – Monterey County Pops! The Monterey County Pops! is pleased to announce the resumption of its traditional Memorial Day concert. 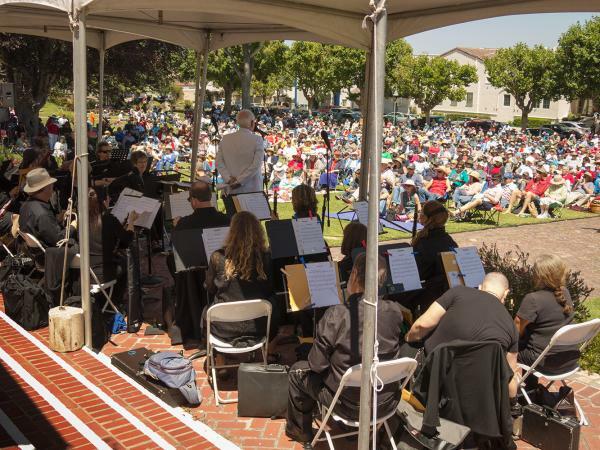 This year the Free concert will take place on Memorial Day, Monday, May 26 on the Monterey City Hall (Colton Hall) lawn at 2:00 p.m. The grounds will open at 10:00 a.m. when the Pops begins its rehearsal. The concert is FREE to all who come. Bring your lawn blankets and lawn chairs to best enjoy the wonderful music in this wonderful setting. 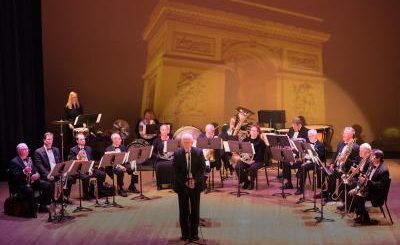 The program titled TO REMEMBER AND HONOR will feature the 40-member fully professional ensemble in a program of patriotic and pops selections. 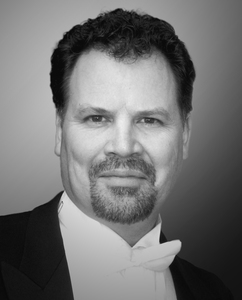 Music Director, Dr. Carl Christensen, has invited two singers with strong location ties, Peter Tuff, baritone, and Morgan Harrington, soprano, to perform special arrangements that he has written for the occasion. Titles include America the Beautiful, Shenandoah, Merry Widow Waltz, and All I Ask of You from Phantom of the Opera. 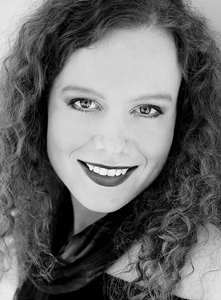 Morgan and Peter recently appeared in an acclaimed local concert titled Perhaps Love which was narrated by David Gordon. Instrumental selections include the marches Americans We and National Emblem, American Pageant (a U.S. Marine Band commission that has been performed at every Presidential Inaugural since 1973), a stirring setting of Eternal Father, Strong to Save (The Navy Hymn) by Claude T. Smith, and a sing-along version of Woody Guthrie’s This Land Is Your Land.